My knowledge comes from being a hands-on body worker. By direct touch and very frank conversation I have come to understand what affects people’s bodies over a prolonged period of time. I have worked with all sorts of folk and the ones that know it will take commitment are the ones that get the best results… Please don’t take me for a fairy God Mother with a magic wand….I can’t help you if you don’t want to help yourself, but by working together, we can definitely create magic! Just imagine for a moment……. You’ve just won gold lotto, and have become as rich as you could ever want to be. What difference do you think it has made to your health or your shape? Would you suddenly have the key to, a healthier fitter more attractive body? Naaaaa Sorry but there are some things you just have to work at…… In this age of instant gratification, not even winning lotto can help with body shaping or true strength and fitness. Don’t get me wrong…It’s true that money can be very useful when it comes to repairing your health and appearance after been ravaged by the many things in modern life that can affect them. But the idea that you can somehow buy a perfect shape or you can be fully well without making some sort of effort yourself, is a false dream. 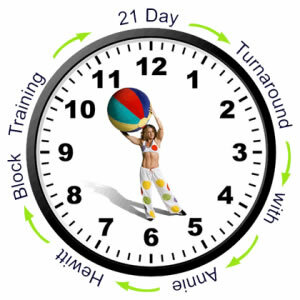 YOU HAVE TO DO SOMETHING and It is a lifestyle, not a fad or a phase… remember this is a commitment from you to you. I will work with you (if you want me to be) and I will help you get the most amazing results. I like to think of myself as an artist and I see your body as a blank canvass. Let’s make it the Masterpiece you deserve it to be. 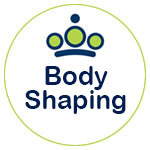 Body shaping is my skill…. I’ve done it for myself (and have three world titles to show for it) and I have helped hundreds of others build the body they feel proud of! I am talking about Discipline . . . seems the obvious way to get in touch with the higher self . . . the rewards of discipline are the forgotten heroes – Confidence & Self-Esteem. Have you ever heard the expression “perfect discipline is perfect freedom”… there’s a lot of truth in it..
Ok so what’s this got to do with Body building workouts, Muscle building diets and feeling better?. As we mentioned this is a lifestyle, not a fad… Take a look at my photo again… you could say I know a little about this topic! The key to motivation is to know how your mind works. So let’s look at it… for example: When you engage your body and mind together to improve your diet, you’ll discover you have a natural tendency to go for the healthier options and a far higher chance of success than if you just follow a boring diet without engaging your mind in the journey. When you focus on the end goal and more importantly know what that actually is…. you’ll find it easier to make those good choices. Fuelling the body is the process of eating & converting food into structural and functional body compounds like skin, muscle and hair. It is required for growth, maintenance of bodily functions, repair of tissues, performance and obviously health! Different parts of the body need special nutrients to function properly. For example your nervous system has different nutritional needs than your muscles. These differences must be considered to make the WHOLE body perform at its best. In essence, it sustains every cell in your body. Good quality cells lead to excellent functioning of organs. Efficient organs lead to healthy systems and an energized and vital body. Although the human body is very resilient, it does require a constant source of fuel for its replenishment and maintenance. 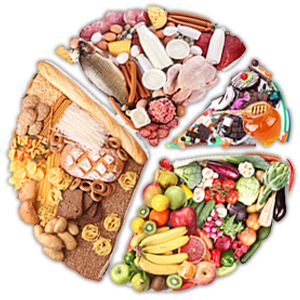 The nutrients are extracted from the foods that we consume, in order for this to take place. Once the nutrients are extracted (digested) then the body can absorb the nutrients into the blood stream and distribute them to all cells and organs to be assimilated accordingly. This assimilation provides strength and ensures that the organs have the raw ingredients needed to do their job properly. 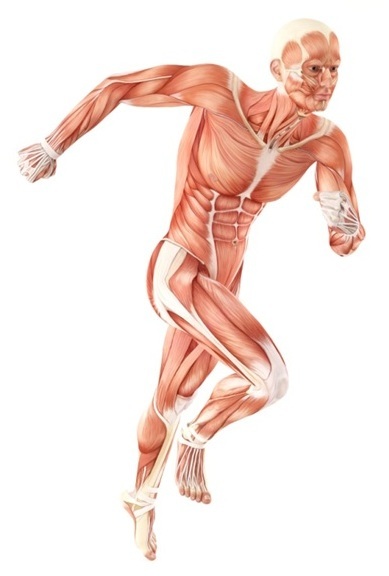 Now the secret here is that the muscles are the furnaces of the body. So let’s get those muscles working and fed properly with a correct Muscle Building diet. Participation is regular physical activity has an impact on heart disease greater than any other single lifestyle change. Off course our forefathers didn’t concern themselves with body image – for their lifestyle was exercise, now we have to exercise for our lifestyle. Therefore the importance of proper physical activity cannot be overemphasized. Properly done, it is one of the most beneficial positive actions you can take to support, strengthen & rejuvenate your body. Ultimate Life Balance can be achieved by committing to practicing effective diet, exercise and relaxation methods – Principles for Life. Change the way you think, become your own Mind Body Soul Manager – because when you gain control your body you WILL gain control of your Life! For I am living proof for the argument . . .that Fitness does affect our well being and can promote a higher quality of life by being an effective coping mechanism for the negative results of stress. TRANSFORMATION IS A CONSCIOUS CHOICE. 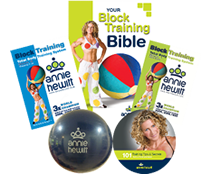 Great Package…Annie has taught me how to train without the strain:) I love the way I can train at home without the need of going to the gym which had cost me a fortune…I now have far better results simply following Annie’s process, advice and easy to follow routines…cheers Annie. TRIM, TONE and TIGHTEN & NEVER feel alone in your training ever again!